When summer is around the corner, you know that you want your chiller in good shape so that when that hot weather finally hits home, you will have something to keep you cool. HVAC chillers are the best way to keep your building chilled. If your building does not have a chiller system or your current chiller system is not working properly, you need to find an expert technician to look it up and ensure that it is working properly. A chiller system that is not working properly will either be repaired or be replaced. 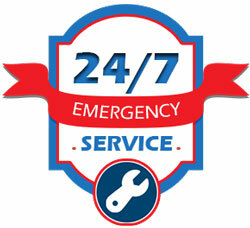 At Phoenix 24 Hour HVAC Service, we offer affordable Chiller System Service and Repair in and around Phoenix AZ. You can contact us, to have your chiller changed or replaced at an affordable price, and by an expert technician. These factors will make you opt for a rigorous maintenance program. However, even when the chiller system is working, your expert may ask you to replace the entire chiller system. Contact Phoenix 24 Hour HVAC Service and we will help you decide. Why should I replace my Phoenix AZ Chiller system? The cost of repairing or replacing your chiller system will depend on different factors such as the size of your building, other systems that might get interrupted while replacing the chiller system, and will even differ from one Chiller replacement or repair service provider to another. Contact Phoenix 24 Hour HVAC Service to receive a quotation.